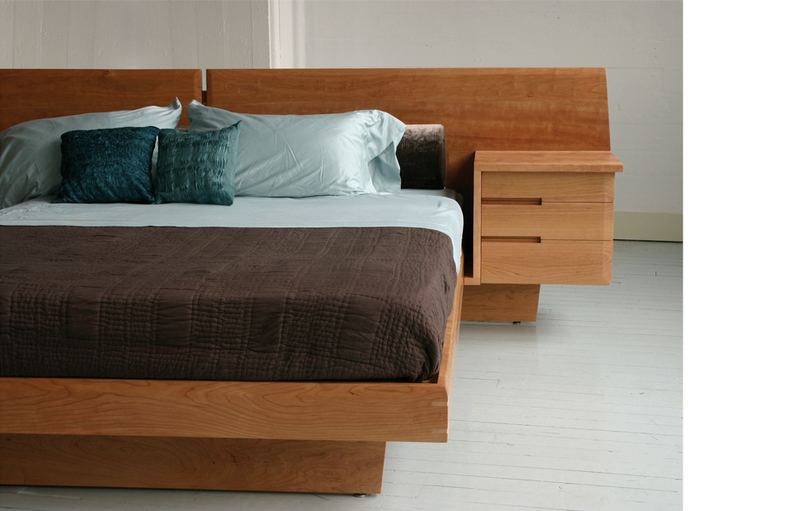 This substantial bed frame sports a drawer stack on either side of the mattress, suspended well above the floor. It goes beautifully with our various Still Dressers. Shown here in king size. It also could have a combination of shelves and drawers.